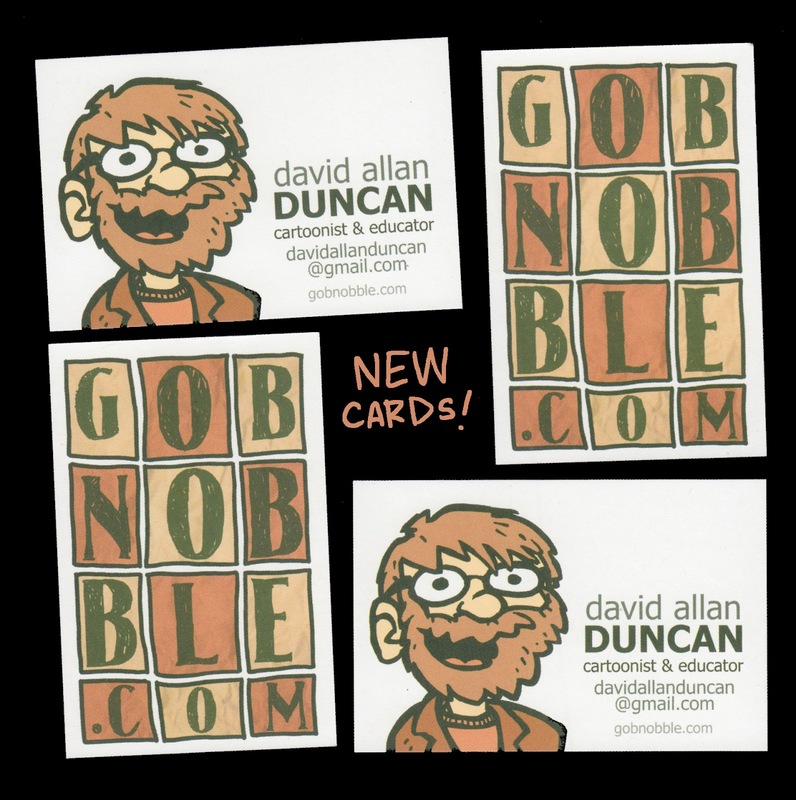 gobnobble -- the comic work of David Allan Duncan: New Card, yo! I got some new business cards printed up. The older ones were too old and I didn't like them. 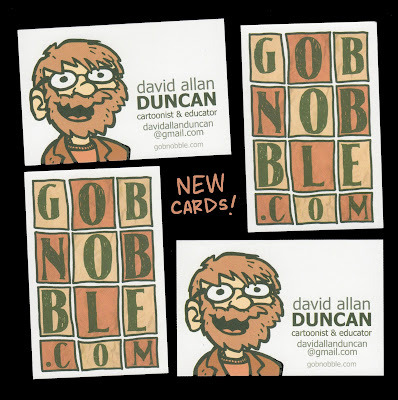 I have SCAD business cards too, but they aren't fun at all. I admit to stealing the line-art from my profile, but I at least changed the shape of the glasses to match my new ones. I used Moo instead of Overnight Prints. The colors look better on these, and I can write on the paper (which is recycled). I like the idea of adding a word-balloon with a note above my name. I do miss the ability to add a spot-gloss, though.